Professor, Researcher and Software Developer. Passionate about life, people, and getting things done. Adjunct Professor at Department of Computing of Pernambuco Federal Rural University (UFRPE), PhD-c at Informatics Centre of Pernambuco Federal University (UFPE), leader of Open Data Brazil Lab and member of Assert Lab. Passionate about make things work and seeing running code, I'm a highly motivated software researcher and developer, having a strong computer science background and over fifteen years of experience in software development, which has always been combined with high-level scientific research. Eager to keep learning, this combination of research and practice led me to gracefully transition from a pioneering research on mobile technologies (with palmtops!) to a Master thesis on mainframe legacy code reengineering (Natural/ADABAS). More recently, my focus is on web development and “relationship-aware” systems. Having a position as Adjunct Professor at Pernambuco Federal Rural University, some of my recently deployed web projects focus on analyzing and republishing open government data in a way that ordinary people can understand. Although I'm been a bit far removed from traditional software companies for some years, I believe that close relations between Academy and Industry is the best way to achieve great results. Research Area: Social Machines, Middleware, Internet of Things. Master’s Thesis: LIFT: A Legacy InFormation retrieval Tool. Major fields: Software Engineering, Reengineering and Reverse Engineering, System Understanding, Software Reuse. Advisor: Silvio Meira. September, 2007. Bachelor Monograph: Smart Mobile: A proposal for the integrarion of personal digital assistants and wireless networks in medical environment (in portuguese). Most relevant Teaching and Work experiences. For academic outcomes, see Publications. Classes: Introduction to Information Systems, Introduction to Information Technologies, Compilers, Computer Databases. Classes: Concepts of Programming Languages, Programming II (OO), Software Reuse. Worked as Team Leader and Software Engineer in many projects ranging from Reverse Engineering of legacy code to mobile development. Responsible for the development of the first version of Smart Mobile, the mobile version (for Palmtops) of company Hospital Information System. Selected publications. For the full list, please visit my Lattes. Legacy Systems Maintenance: From specification to evaluation of a Legacy Information Retrieval Tool. Kellyton Brito; 1. ed. VDM Verlag, 2010. v. 1. 120p. (Br-SCMM) Brazilian Smart City Maturity Model: A Perspective from the Health Domain. Afonso, R. A. ; Brito, K. S. ; Nascimento, C. H. ; Costa, L. C. ; Alvaro, Alexandre ; Garcia, V. C.
Studies in Health Technology and Informatics, v. 216, 2015. 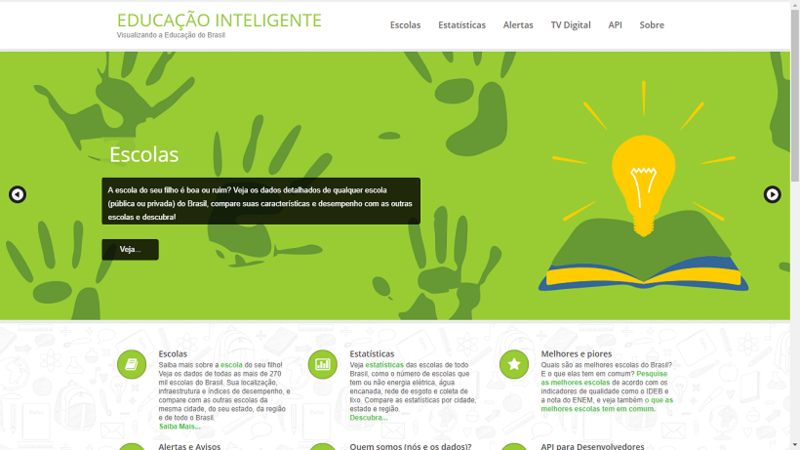 Is Brazilian Open Government Data Actually Open Data? An Analysis of the Current Scenario. Brito, K. S.; Costa, M. A. S.; Garcia, V. C. G.; Meira, S. R. L.
International Journal of E-Planning Research (IJEPR), 2015. Volume 4, Issue 2. OntoPHC: An Ontology Applied For Primary Health Care. Moraes, E. C.; Brito, K. S.; Meira, S. R. L.
Procedia Computer Science, v. 9, p. 1543-1552, 2012. A Guiding Architecture and System for Making Crime Data Available in Brazil. 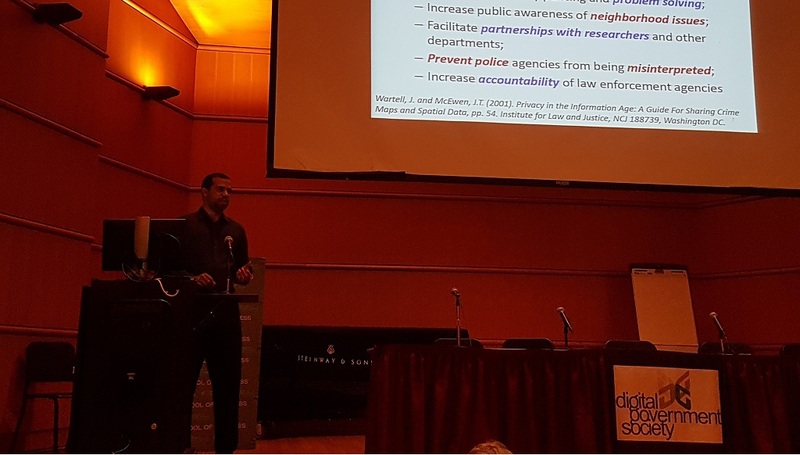 In 18th Annual International Conference on Digital Government Research, 2017, Staten Island, NY, USA. Towards a taxonomy for security threats on the web ecosystem. In: NOMS 2016 2016 IEEE/IFIP Network Operations and Management Symposium, 2016, Istanbul. Assessing the Benefits of Open Government Data: The Case of Meu Congresso Nacional in Brazilian Elections 2014. In 16th Annual International Conference on Digital Government Research(dg.o), 2015, Phoenix, Arizona, USA. Brazilian smart cities: using a maturity model to measure and compare inequality in cities. Towards Government as a Social Machine. In The 3rd International Workshop on the Theory and Practice of Social Machines, a workshop at the 24th International World Wide Web Conference (WWW), Florence, Italy, 2015. Experiences Integrating Heterogeneous Government Open Data Sources to Deliver Services and Promote Transparency in Brazil. In 2014 IEEE 38th Annual International Computers, Software and Applications Conference, COMPSAC, 2014, Västerås, Sweden. 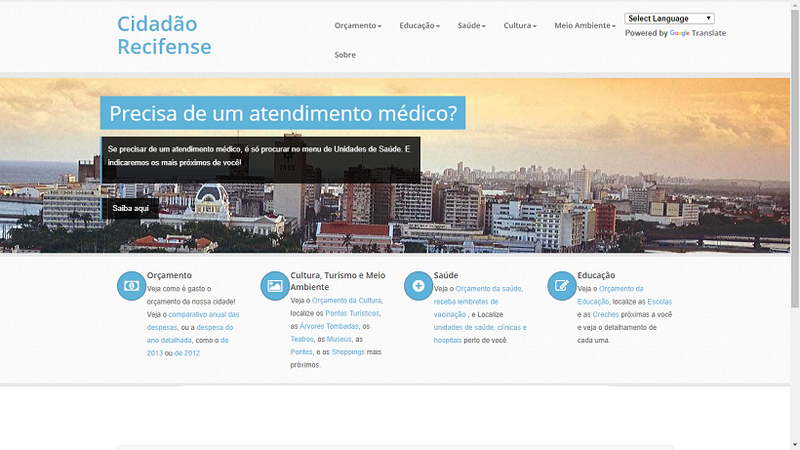 Brazilian Government Open Data: Implementation, Challenges, and Potential Opportunities. In 15th Annual International Conference on Digital Government Research(dg.o), 2014, Aguascalientes, México. 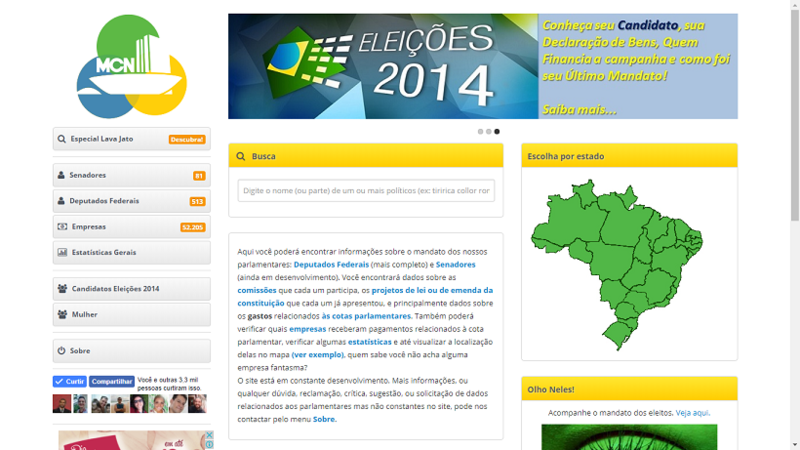 Using Parliamentary Brazilian Open Data to Improve Transparency and Public Participation in Brazil. How People Care about Their Personal Data Released on Social Media. In Eleventh Annual Conference on Privacy, Security and Trust (PST), 2013, Tarragona, Spain. Do not hesitate to drop me a couple of lines. I try to answer no later than two days. CEP: 52171-900 – Recife/PE – Brasil.